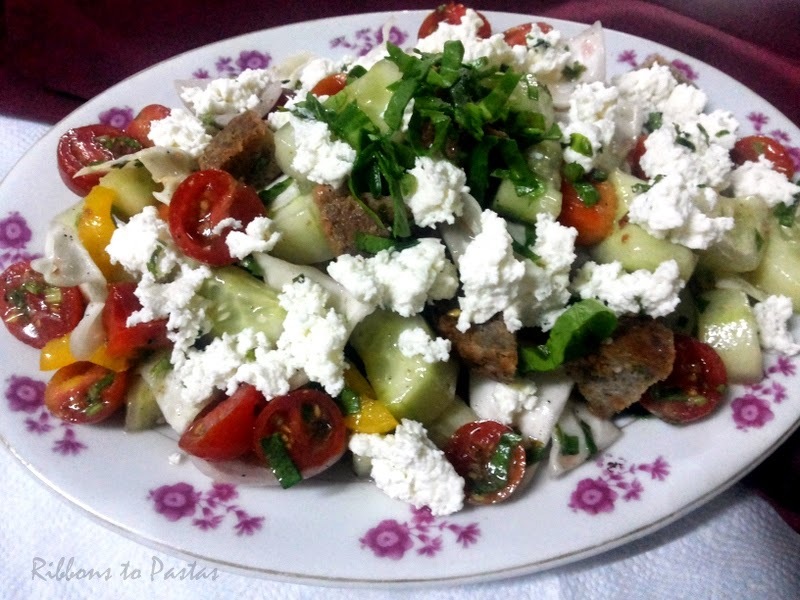 Fattoush is a salad from Middle East. This was on my to do list since long, and when I made these buns I thought of using them in my salad besides serving these with a nice Broccoli soup. 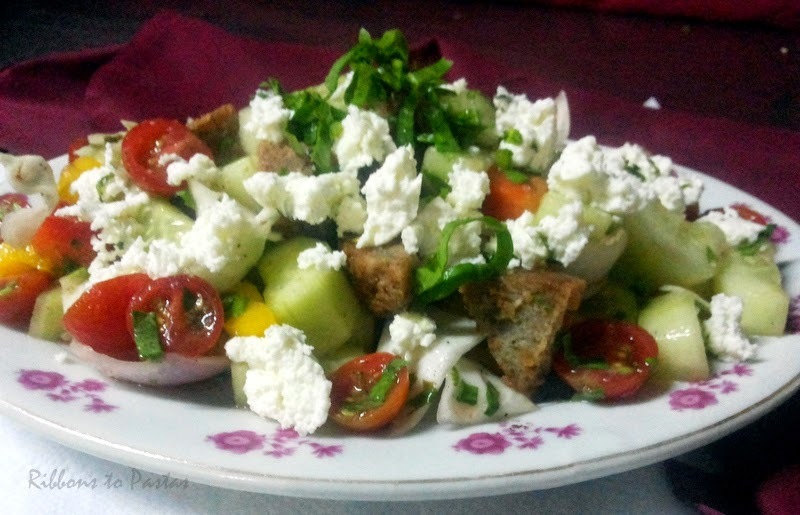 I served this salad to my friends who had been asking me to host a salad party for them. Of course there were four more salads,I shall share the recipes soon, till then enjoy this one. 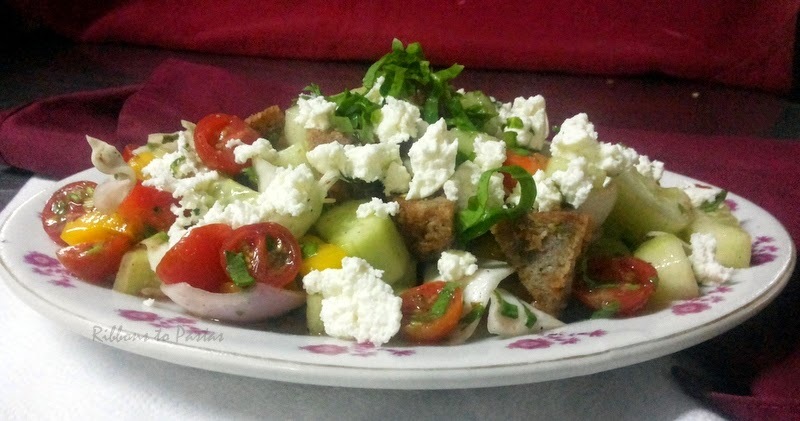 Normally feta cheese is used for this salad, but somehow I do not like its flavor so instead I made fresh herbed cottage cheese ,which tasted amazing. The salad ingredients can vary according to their availability. Heat oil and lightly toast the bun pieces, you could use also use a day old bread or pita bread. Combine cucumber, tomatoes,capsicum red onion, parsley, mint, olive oil, lemon juice, garlic, kosher salt, ground black pepper, and sumac in a bowl. 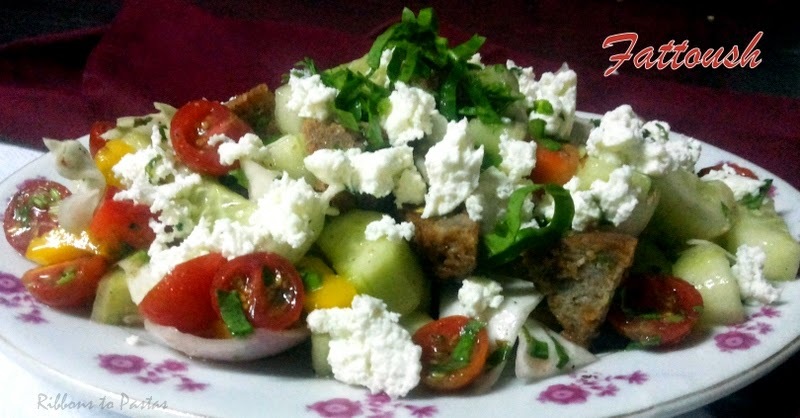 Gently toss salad with fried bread pieces. Finish with crumbled cottage cheese.